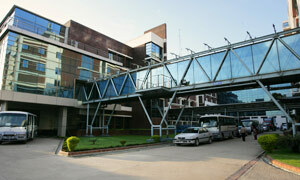 The facility is equipped with upstream, downstream and quality control process system, meeting the European Pharmacopeia standard. 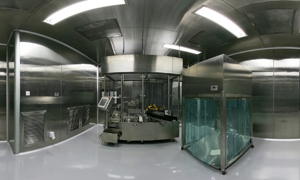 Separated AHU classification enabled simultaneous production and development activities for two products at a time. Mammalian cell research team is committed to develop any commercially important glycosylated biomolecules. That includes API and formulated level by using molecular biology knowledge, experience, cell culture and analytical expertise. We are also focusing on the development of monoclonal antibodies and insulin analogues such as aspart, glargine, detemir and degludec. Our multidisciplinary team of expertise knows how to meet all products comparability requirement. In-depth knowledge of the submission regulatory landscape ensures products meet regulatory requirement around the globe. 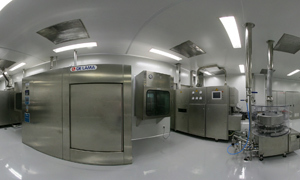 Biotech commercial production area is more GMP compliant. Our world class production platform (fill-finish) has already delivered around 30 million vials and 15 million cartridges of Insulin (Maxsulin). Formulated insulin is filled into vials or cartridges using highly sophisticated continuous system (Bausch-Strobel, Germany). Comprised washing, depyrogenation, filling, stoppering and sealing all in one line ensures unbroken aseptic conditions. During different stages of analysis, complicated analytical instruments are used naming High Performance Liquid Chromatography (HPLC), Gas Chromatography, Total Organic Carbon (TOC) analyzer, Atomic Absorption Spectrophotometer, UV Visible spectrophotometer, Auto Titrator, Karl Fischer Titrator etc. With the reliable combination of machines, material, manpower and method, we make sure uniform quality standard is achieved in every unit of the container used by the patients. Our Microbiology laboratory ensures safe products by conducting sterility and endotoxin tests, liquid particle count and other related tests of the Insulin injection using validated methodologies. Currently, we are developing 2 million vials and 0.6 million cartridge yearly. Since market demands for our quality insulin products, we aim to increase our production capacity to deliver 6 million vials and 3 million cartridges in near future.